Natacha Auvert graduated in Master in Marketing Management in Europe. Are you considering studying a master's degree in Europe? 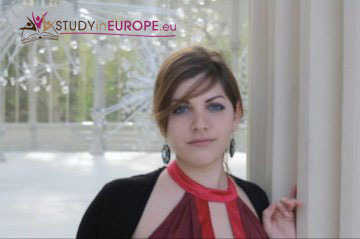 In order to help you decide whether Europe is the right place for you to study your master's degree, we asked Natacha Auvert, a graduate student from Venezuela, to share her opinion about her experience with her master's studies in Europe. Question: Natacha, what master's program did you study? Answer: I studied a Master in Marketing Management in Madrid, Spain. Q: What motivated you to study a master's degree in Europe? A: I come from Venezuela and was looking for an opportunity to experience living in a different country. Spain sounded interesting for many reasons: the language, the culture and the fact that it was in Europe. I really wanted to enjoy the old continent and all its history. And I did. I was accepted in a top institute in Madrid. The quality of the education was amazing and I got to meet people from around the world. Q: How has your master's degree in Europe contributed / is contributing to your work? A: From a technical point of view, the knowledge acquired during my studies has helped me out greatly to face tough economic times. I've been able to apply management strategies and tools to increase efficiencies in our business. From a cultural point of view, learning to work with culturally diverse people can become a great asset when working in international companies. Thus, a city like Madrid can offer you this kind of diversity. Q: Finally, what would you recommend to a student who is considering whether to study a master's degree in Europe or working in a company after his/her first cycle studies? A: If you're trying to move to another country looking for better opportunities than the ones your own country offers, studying a master's degree is a great choice: you get to know how the life is in that country while you're studying and probably look for job opportunities to stay there after finishing. Studying a master's after working in a company will obviously give you advantages during your studies because of the experience acquired. Whatever you choose, the most important decision is to do it! Without any doubt, studying a master's degree in marketing in Europe has been one of the most rewarding experiences of my life so far.